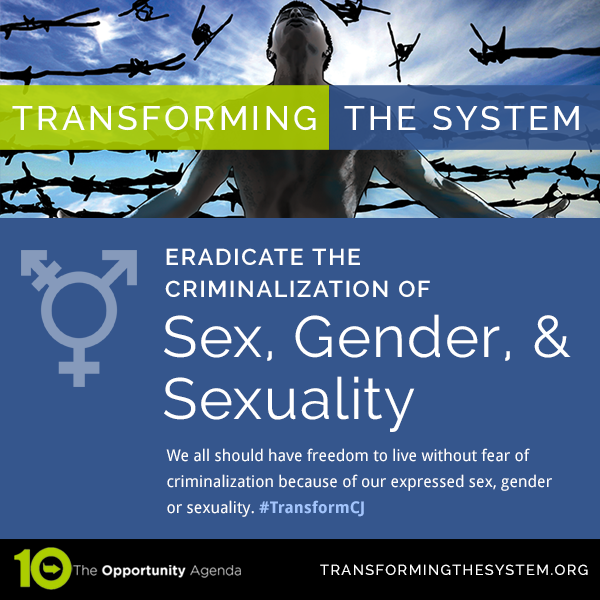 Criminal justice actors should receive adequate training and guidance to ensure that they are able to respond to persons of all genders, sexes, and sexualities properly. To this end, the following solutions and actions should be adopted. Policies that ensure the safety and wellbeing of pregnant and postpartum women including a ban on the use of shackles during labor and recovery and adequate care to postpartum women, including a minimum recovery period and screenings for postpartum depression. Decriminalize domestic abuse survivors by prohibiting policies such as nuisance ordinances which force survivors out of their home or prevent them from calling police by levying steep fines against the landlord or homeowner if a home is a site of a certain number of calls for police or alleged nuisance conduct. 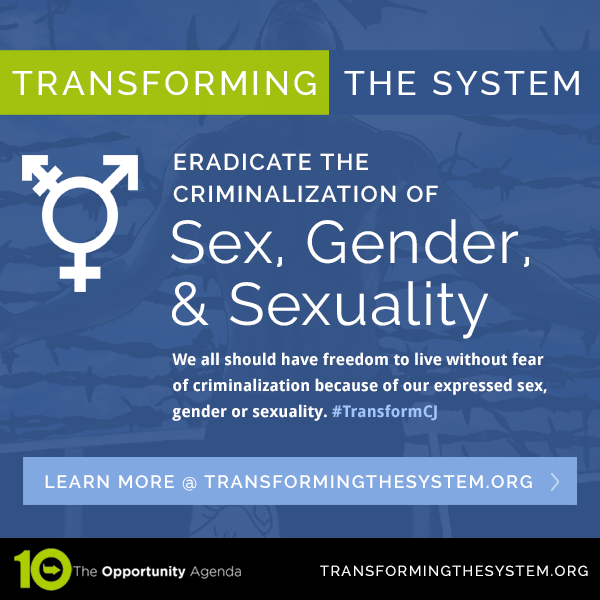 Minimize the impact of trafficking on young people by enacting “safe harbor” laws, which provide immunity and services to children who have been trafficked.